It has been the greatest first round in NBA history and what would be a better way to finish off with two more game sevens to top it off. There have been five game sevens and only two series that weren’t close. On a day when California’s colors are Chrome not Golden and certainly not Sterling, the L.A the Clippers were true Warriors and advanced to the western conference semi-finals. The League’s MVP shines bright in a small town sending Memphis back to playing the blues once again, and Indiana is back on Pace for their Championship dreams. Last night was one of the most historic nights in NBA history and tonight hopefully won’t disappoint. 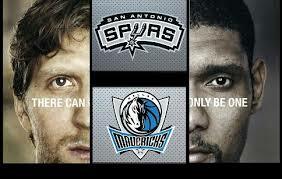 The Dallas Mavericks vs the San Antonio Spurs and the Brooklyn Nets vs the Toronto Raptors. Win or go Home. Going into this series everyone knew it was going to be a battle. The experience of the Brooklyn Nets vs the young guns of Toronto. The Raptors have the longest active playoff victory drought in the NBA and they are looking to snap it today. This game is a battle of two prolific back courts. The Nets Deron Williams and Joe Johnson are the keys for this team. Both of them need to heat up early or Brooklyn could start off in a deep hole. 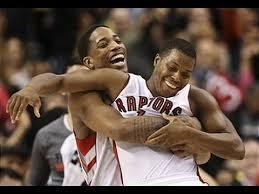 The Raptors dynamic duo of DeMar DeRozan and Kyle Lowry. These young emerging stars have to show up, which is expected. Kyle Lowry has to shoot the three ball extremely well. Lowry is a dead-eye from behind the arch and if he gets hot, it is almost impossible to stop him because of his passing great ability. Terrence Ross is the x-factor in this game. Toronto needs to have that third scorer who gives instant energy and Ross is perfect for that role. He is an excellent defender and his high flying dunking ability can spark the crowd and make it very hard for the Nets to execute their plays. No one expected this, San Antonio the team with the best record in the NBA has been beat up all the way to game seven against the eighth seeded Dallas Mavericks, who were one game away from almost missing the playoffs. Two future Hall of Famers, Dirk Nowitzki and Tim Duncan have been going to war in this series, rewriting history to their long historic rivalry. The Spurs are the best coached team in the entire NBA and the Mavs are arguably playing the best basketball right now. 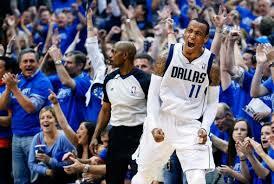 Monta Ellis is the reason that Dallas has been in this series. He has always been an incredible scorer, but he has never had his chance in the playoffs because of the quality of teams he has been on. Ellis is the best player on this Mavericks team and it is his time tonight he has to shine bright with all of the stars in the NBA. Tony Parker is always going to play well for the Spurs, but he was been sort of rattled by Shawn Marion’s stifling defense. Kawhi Leonard is the future of this San Antonio team and he is their best defender. Leonard has been in the spot light already at the age of 22, but Kawhi can’t choke if he want his Spurs to avoid the upset from their bitter rivals. This entry was posted in NBA and tagged Brooklyn Nets, Dallas Mavericks, DeMar DeRozan, Deron Williams, Dirk Nowitzki, Golden State Warriors, Indiana Pacers, Joe Johnson, Kawhi Leonard, Kyle Lowry, L.A. Clippers, Memphis Grizzlies, Monta Ellis, Oklahoma City Thunder, Portland Trailblazers, San Antonio Spurs, Shawn Marion, Terrence Ross, Tim Duncan, Tony Parker, Toronto Raptors, Vince Carter by just1mike. Bookmark the permalink.